Those who are at risk for obstructive sleep apnea are males over the age of 40, females over the age of 50, those with hypertension, pre-diabetes and diabetes, and the overweight population. Repeated cycles of decreased oxygenation lead to very serious cardiovascular problems. Additionally, these individuals may suffer from excessive daytime sleepiness, depression, and loss of concentration. The health risks associated with sleep apnea include heart disease, stroke, and diabetes. Some patients have obstructions that are less severe called Upper Airway Resistance Syndrome (UARS). These individuals suffer many of the same symptoms. The first step in treatment resides in recognition of the symptoms and seeking appropriate consultation. Our physicians at ENTACC offer consultation and treatment options. 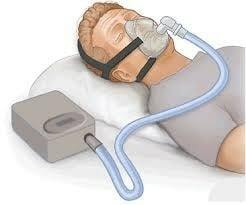 CPAP – An initial treatment may consist of using a nasal CPAP machine that delivers pressurized oxygen through a nasal mask to limit obstruction at night. A blower connects by a tube to a mask that fits over your mouth and nose. This constant pressure keeps the airway from collapsing allowing normal breathing. Provent Nasal Valve– Another effective treatment for Obstructive Sleep Apnea is the Provent Nasal Valve. This discreet, disposable device is applied to the nostrils nightly and requires no mask, machine or electricity. Provent Therapy uses the power of your own breathing to create the airway pressure holding the airway open and enabling natural airflow. Oral Appliance– This two-part adjustable “boil and bite” mandibular advancement device treats snoring and sleep apnea. The upper and lower trays are fitted to your teeth keeping the tongue away from the soft palate and opening the airway. struggling with sleep apnea? Not sure? CONTACT US TODAY!